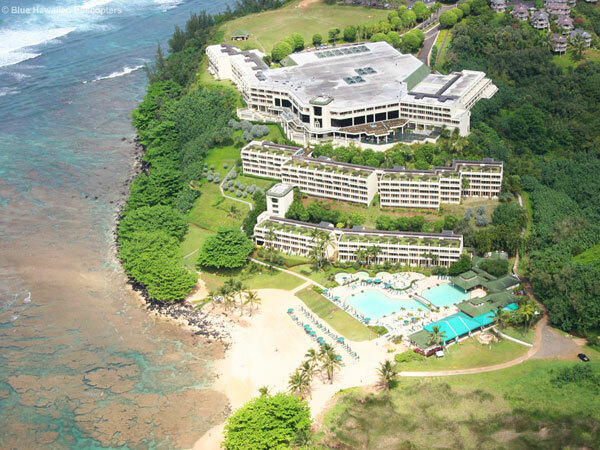 Enjoy a spectacular aerial tour of Kauai, also known as the "Garden Isle." Blue Hawaiian takes you to all the top sights of the island. Your adventure begins with views of beautiful Hanapepe Valley and then continues on to Mana Waiapuna, a waterfall you might recognize from the popular movie Jurassic Park. Next up is Olokele Canyon before moving on to the breathtaking Waimea Canyon, which mark Twain called the "Grand Canyon of the Pacific." 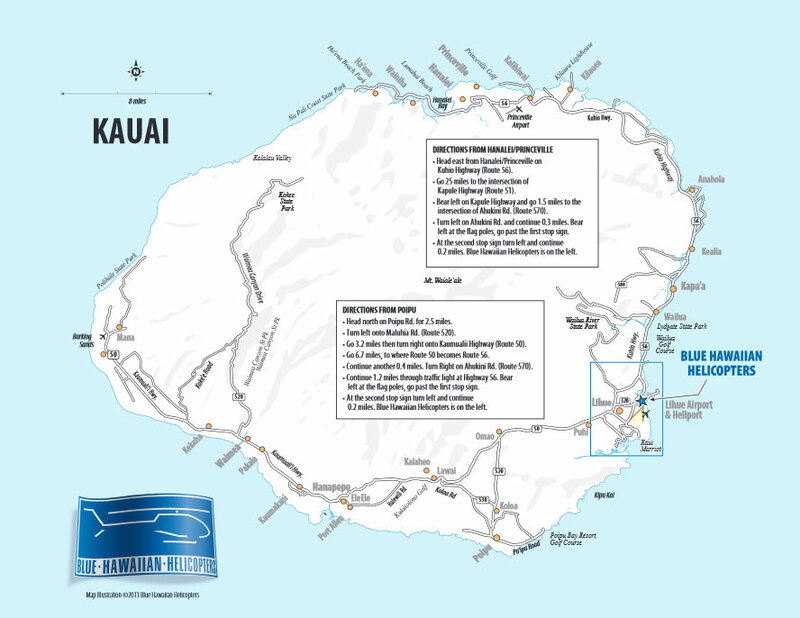 Continuing on north, the remote Na Pali Coast gives way to the Bali Hai cliffs and the turquoise waters of Hanalei Bay and the Princeville resort area. Weather permitting, you will also get to see the crowning glory of the Garden Isle: Mt. Waialeale, the wettest spot on earth, with an average rainfall of 450-500 inches per year! Flying into the center of the crater with its 5,000-foot walls towering above and its 3,000-foot waterfalls surrounding you is a magnificent sight. The Eco-Star is significantly quieter than the standard A-Star touring helicopter and offers 23% more interior space and over 60 square feet of viewing glass for 180 degree unobstructed views. The Eco-Star also has individual seats for every passenger that afford the kind of shoulder room and personal space found in airline "First Class" seating. The ECO-Star is the first helicopter specifically designed for touring, utilizing the latest aircraft and avionics technologies.